Do you have any connection with a Scam PAC called the Black Republican Fund? Does your prestigious organization have any direct association with Ed Couzar and the Black Republican Fund? Solicitation are being sent out, via scam direct mail, requesting donations and naming themselves as "The Black Republican Fund-- A project of the VIGOP." It seems to come out of the same location in Arlington, VA with solicitations sent out from Base Connect (AKA ForthRight Stategy) in Washington, DC, claiming to raise money for "black" candidates, but according to the FEC, is keeping most of the money to pay themselves and their cronies. Please let me know if this direct mail campaign has anything to do with your organization. Thank you for your e-mail and inquiry. Please know that our organization has absolutely nothing to do with that Black Republican Fund, Mr. Ed Couzar, nor any of those other suspicious groups being run by that direct mail, fundraising company operating in the state of Virginia, with Mr. Scott MacKenzie functioning as the treasurer for all of the groups. As the below article, which appeared in the New York Times on May 6, 2014 shows, that direct mail company is operating a huge scam to milk hard-working Americans out of their money for the primary benefit of the owners of that company. They are the equivalent of a cancer that grows and feasts on our body politic and preys on innocent people. It's too bad there is no legal way to stop them. Bad publicity could ruin them, but they have a way of morphing, shifting names and addresses, so no one can pin them down. May they roast in Hell! Total contributions to and the percentage spent on election activity by PACs that employ Scott B. MacKenzie as treasurer. There are a few things you should know about the Virgin Islands Republican Party: It has no full-time staff, has not had regular meetings for nearly two years, and only about 4 percent of the $200,000 it has raised since last fall has gone to party coffers. Through the end of March, it moved exactly $7,927 to the party. Most of the contributions, solicited by mail sent to people across the United States, end up in a bank in Fairfax, Va., and are used to solicit yet more donations. The Virgin Islands committee has made two donations — to Republican candidates running for the Senate in South Carolina (Tim Scott) and Oklahoma (T. W. Shannon). Its third donation was to a Georgia state superintendent candidate. The Virgin Islands committee spends the overwhelming bulk of its money not for basic political activities like voter registration or party messages, but to raise more money. A few other conservative political committees employ this technique, and the biggest beneficiaries are a number of fund-raising companies in Northern Virginia. Philanthropic experts often gauge charities by their efficiency in spending money for the main purpose of the organization. These political committees are spending tiny fractions of their overall revenue — mostly raised in small amounts from retirees — on political activity. The expensive direct-mail fund-raising campaign is the hallmark of committees that employ Scott MacKenzie, who is treasurer of the Virgin Island committee, known as VIGOP. The VIGOP committee is different from other state party committees in several respects. First, it appears to raise no significant money from the territory, whereas most state parties depend on in-state support from individual donors. Second, it has no local bank account listed on its registration form, and the same person — Mr. MacKenzie — is listed as both the custodian of the committee's records and its treasurer. Third, no Virgin Islander is listed on the committee's forms. The fund-raising approach of the Virgin Islands committee is unusual for party organizations, but it's not unusual for Mr. MacKenzie. In addition to the party committee, Mr. MacKenzie is the treasurer of nine other active political action committees that have raised a combined $10.1 million from individuals since the beginning of last year. The committees include the Conservative StrikeForce, Freedom's Defense Fund and the Black Republican PAC. Almost all of them employ similar techniques: using direct mail to raise hundreds of thousands of dollars, most of which is spent on more fund-raising activities, although in the past some of the committees ran television advertisements. Mr. MacKenzie, who lives in Arlington, Va., and previously worked on the presidential campaigns of Ronald Reagan, Jack Kemp and Patrick Buchanan, did not respond to several attempts to reach him for comment. With the exception of one committee, the Tea Party Victory Fund, which spends about half of its money on elections, these PACs spend less than 10 percent of their money on getting someone elected. Combined, the PACs have spent $418,392 — or 4.1 percent of the money raised — on candidates. Source: Federal Election Commission filings through March 31, 2014. Most of the money raised by these committees goes to direct mail companies in the Washington area, including Base Connect, which lists Mr. MacKenzie's company as a "strategic partner" on its website, and Century Data Mailing Services, which shares an address with Base Connect. The Virgin Islands committee pays smaller amounts as fund-raising commissions to Coast to Coast Strategies, which is run by the former Michigan Republican party chairman Saul Anuzis. The method has left VIGOP owing more than $123,000 to a handful of Virginia and Washington companies. The committee's existence does not appear to be well known among Republicans in the Virgin Islands, which is mostly made up of three islands: St. Thomas, St. Croix and St. John. Two former party leaders contacted by a reporter said they had no knowledge of the committee's existence and painted a picture of a party in disarray since Mr. Canegata's elevation as chairman. "I have never, ever heard of this," said Herb Schoenbohm, the former party chairman, who now leads the St. Croix branch of the party organization. The federal committee shares a post office box in Christiansted, a town on St. Croix, with Mr. Canegata, who also is a candidate for the territorial Senate. Mr. Canegata said the committee's outward focus was partly a result of the political circumstances of the Virgin Islands: Democrats outnumber Republicans by 17 to 1 in the territory. The bulk of the committee's money comes in donations of less than $200, the reporting threshold for federal fund-raising, and VIGOP told the Federal Election Commission that it does not use its solicitations to register voters or advocate the election or defeat of any candidates. The donors are mostly described in F.E.C. filings as retirees and homemakers, and several have made multiple donations to the committee in the past four months. Most of them appear to have contributed to other Republican candidates and causes across the nation, suggesting that they have been regularly contacted by conservative political groups. The two Americas phrase referred to social stratification in American society, made famous in a 2004 speech by former U.S. Senator and presidential candidate John Edwards. Fast forward to today and we see the realities of President Obama’s two Americas. Obama’s two Americas is more than the haves and have-nots (i.e. 99% anarchist movement). Much more. Perhaps President Obama’s two Americas is best understood in the context of the slaughter of two CBS employees by Vester Lee Flanagan, an unemployed angry black homosexual. Sources familiar with the investigation tell ABC News that in his attack, Flanagan used a Glock 19 — a firearm similar to one that Cho used in his mass attack. He says he has been attacked by black men and white females. He talks about how he was attacked for being a gay, black man. He says has suffered racial discrimination, sexual harassment and bullying at work. Allison Parker moments before being shot by Vester Lee Flanagan. 1. Created a black white racial divide. 2. Created an economic divide, which created social stratification (i.e. more haves and abandoned the have-nots). 3. Used government regulations and departments to attack opponents. 4. Introduced Common Core into public schools nation wide to indoctrinate not educate. 5. Created a divide between Christians and anti-Christians (e.g. Muslims, homosexuals, satanists, collectivists). 6. Created a social divide between naturalized citizens and illegal aliens. 7. Created class warfare (i.e. the 99% versus the 1%). 8. Created a war on fossil fuels, especially coal, using Environmental Protection Agency rules. 10. Created a war against lawful gun owners rather than addressing criminals like Vester Lee Flanagan. 11. Created a opaque government rather than his promised transparent government. 12. Created a political divide between Democrats and all others opposed to his policies, including some Democrats. 13. Created a divide between America and Israel. 14. Created a foreign policy divide between America and global freedom loving movements. Before President Obama Americans did not see issues like being black, Hispanic, homosexual or bulling as important. President Obama has made these policies the keystones of his administration. 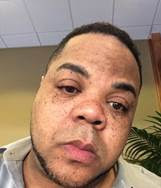 Question: Can you see that the slaughter of two white CBS employess by Vester Lee Flanagan, an angry black homosexual, is a natural outcome of President Obama and his policies? The president will leave office with race relations at their lowest ebb in decades. His politics of division bear much of the responsibility. Then Mr. Obama first ran for president, he went to such lengths to distance himself from professional agitators such as Al Sharpton and Jesse Jackson that “Saturday Night Live” ran a cartoon parody that featured then-Sen. Obama sending Messrs. Sharpton and Jackson off to places like Botswana and Paraguay so that they couldn’t interfere with the campaign. In the CBS News/Times poll, 77% of respondents said that race relations in their own community were generally good, but only 37% said they were good nationwide. One explanation for the disparity could be that the president’s emphasis on race in general and racial conflict in particular has made things seem worse than they really are. Presidents—especially the ones who can count on mostly favorable mainstream-media coverage—have the ability to control the narrative. And racial strife, or the perception of it, works to the political advantage of Mr. Obama and the political left.